Forget about your New Year’s goals and resolutions for a moment. 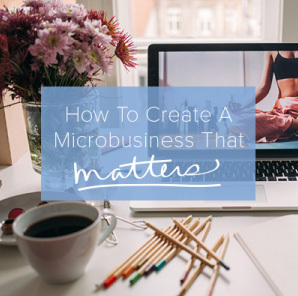 Forget about simplifying your life, paying off all of your debt, starting your own business or discovering perfect health. Those are all really great things to go after but just for the next few minutes, set them all aside. Those are big picture things. Think small instead. What can you do right now to take really good care of yourself? What can you do in this moment to be the priority of your own life? The way to so fiercely loving ourselves is by taking really good care of ourselves. Write something down that really pissed you off and tear it up. Bake something for your neighbor. Often, the solution to our pain is much smaller than we think. So maybe, simply drinking a glass of water is the one thing you can do right now to take really good care of yourself. Don’t wait until you think you deserve it, or until you have time or money or space or whatever else you think needs to happen before you start putting yourself first. Because you do deserve it. Show people how to love you. Be the priority of your own life. This is right where I am right now in my life and these amazing words made me focus in even more on taking care of myself. Thank you for this pep talk! This is so lovely! One of the reasons I enjoy reading Courtney’s articles is because she encourages me far better with her hug-like writings than with the popular guilt driven militaristic-shaming that seems prevalent nowadays. Thank you Courtney! 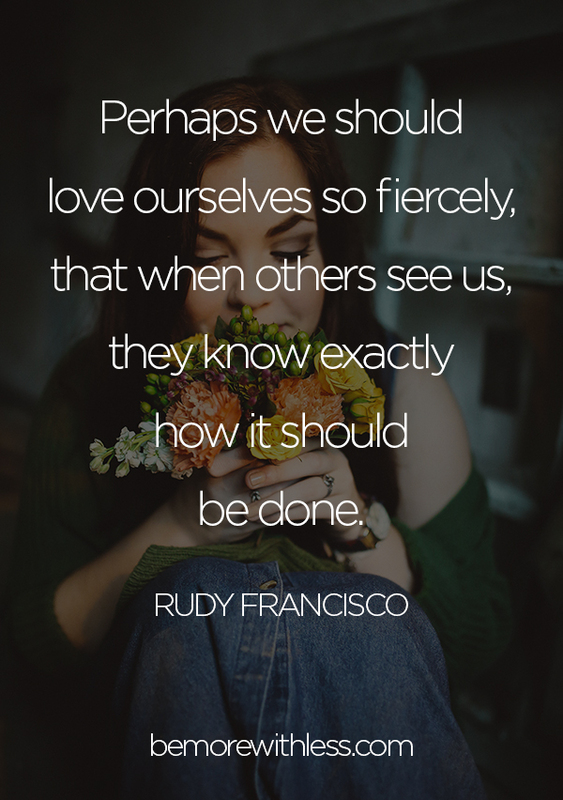 Coupled with the quote by Rudy Francisco, this article could indeed be a life-changer for many! I am sharing with my famly and friends. 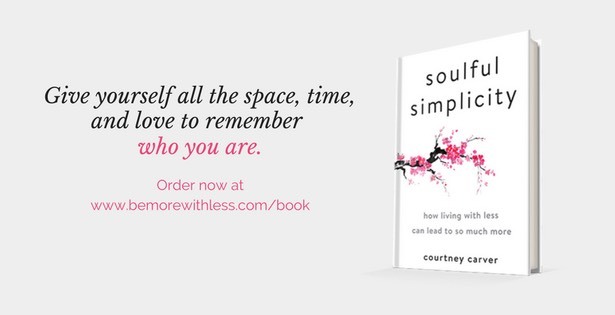 Courtney – this is just what I needed. 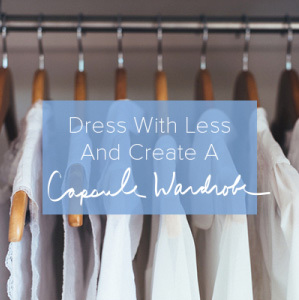 This weekend I am going to start incorporating an idea from “The Minimalists” and have a Screenless Saturday. What I really want to do is just relax and take a walk and listen to your book I just downloaded on Audible. Thanks for this. I’m going through a bit of a journey myself, and found this really useful. I’ve decluttered ~1/4 of my bedroom, and am decluttering bits of my workspace 2-3 days/week. Thanks for reminding me small steps can make a difference. Keep up the great work! This post is so true. Thanks!